By Ko Ricker | 04/25/2018 2:39 pm | Be the First to Comment! 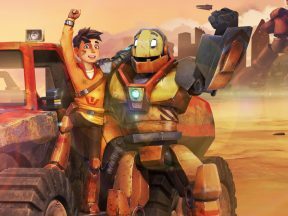 Our regular round-up of animated series that have been announced for development, production, or distribution. Little Big Awesome is set to debut on Amazon Prime Video on April 27. Watch it here. The series was created by Tomi Dieguez of Tronco, and is written, developed, and executive produced by Ben Gruber, co-creator of Superjail! and writer on Spongebob Squarepants. 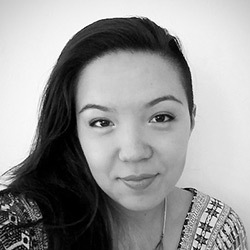 The mixed-media series, for which art director Khang Le has already won a Daytime Emmy for the episode “What’s the Trouble Bubble,” will premiere its six 30-minute episodes to over 200 territories. Titmouse covers production and animation, which includes a combination of 2d, puppetry, real animals, and live-action footage. 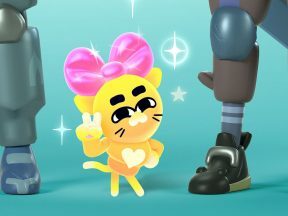 Little Big Awesome is set in the “whimsically weird” Townopolis, where best friends Gluko and Lennon try as much as possible to help the citizens live their best lives. Other characters include Mr. Sprinkles (a kitty with an eye patch), Claude the Buff Hamster, Fluffy Smoosh, and Stuhven, who lives in Lennon’s hat. Weird Al Yankovic plays the sun and provides musical performances along with the Grammy-winner Aimee Mann. 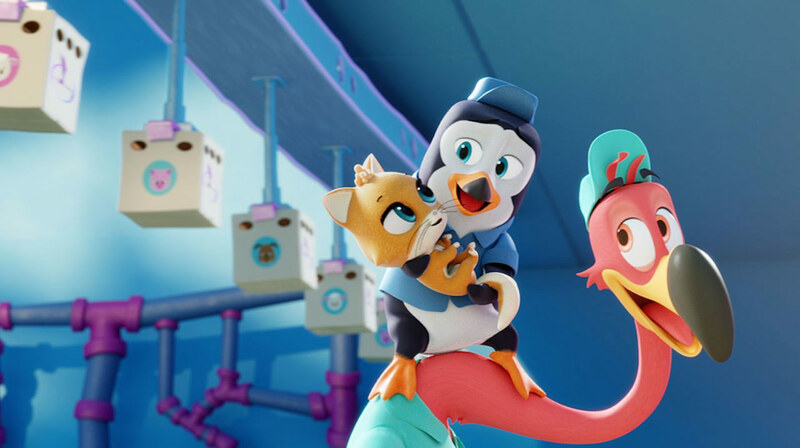 Apple, which is set to soon unveil it streaming platform, has announced its first original animated show, Central Park, to be produced by 20th Century Fox Television. 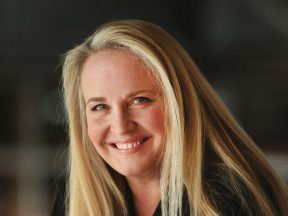 The musical series, which has already been granted a straight-to-series order for two seasons (26 episodes total), is written by Bob’s Burgers creator Loren Bouchard, Grammy winner Josh Gad of Frozen fame, and Bob’s Burgers alum Nora Smith. Bouchard and Gad also serve as executive producers, while Smith is credited as consulting producer. Central Park follows a family of caretakers who live and work in the eponymous park and end up saving both the famous site and the entire world. 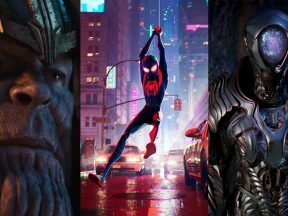 The series will feature the vocal and presumably musical talents of Leslie Odom Jr., Titus Burgess, Kristen Bell, Stanley Tucci, and Josh Gad among others. Disney Junior has greenlit new comedy series T.O.T.S. by creator Travis Braun, who will also serve as executive producer. Braun has previously written for Disney Junior’s Vampirina and also created the upcoming live-action series Fast Layne for Disney Channel. T.O.T.S., aimed at kids 2-7, centers on the adventures of Pip, a penguin, and Freddy, a flamingo. The two best friends are the only non-stork employees of Tiny Ones Transport Service (T.O.T.S. ), the team entrusted with delivering baby animals to their forever homes all around the world. Educationally, the show demonstrates the use of creative thinking and problem solving for young viewers. Vic Cook and Chris Gilligan join Braun as executive producers and Guy Toubes (creator, The Stinky and Dirty Show) serves as story editor. Titmouse produced the series in association with Disney Junior. Disney Junior reports a reach of 91 million U.S. homes and broadcasts 36 channels in 27 languages around the world. Musician and photographer Julian Lennon, son of John Lennon and first wife Cynthia, has signed a deal with French studio Gaumont to produce an animated show based on his New York Times bestselling children’s book series. The socially conscious book series consists thus far of Touch the Earth and the recently released Heal the Earth. 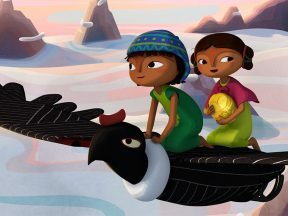 Like the books, the animated series will be aimed at preschoolers and will center on themes of environmentalism and other prevalent social issues. Gaumont produces Narcos for Netflix and co-produced Hannibal. Current animated productions include Noddy, co-produced with Dreamworks, and Netflix’s F is for Family. 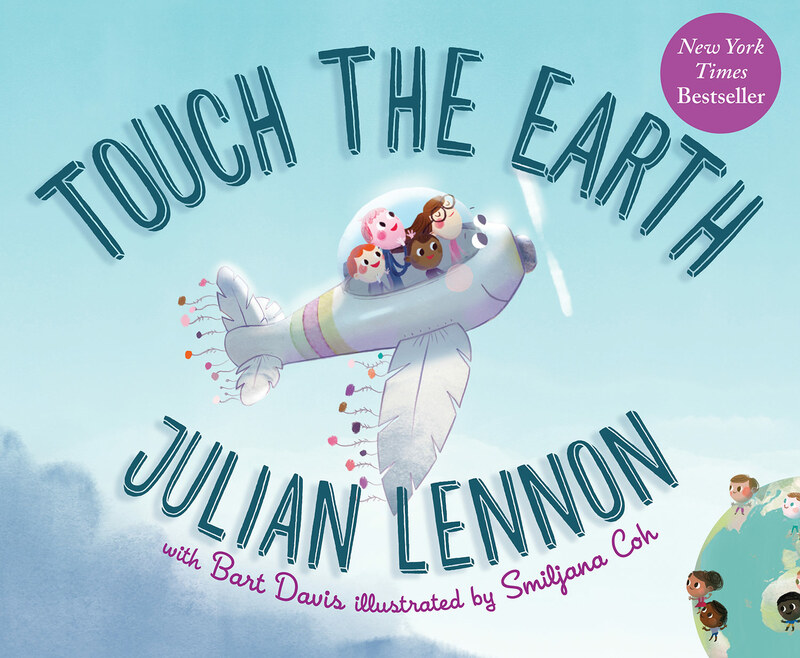 Lennon and co-author Bart Davis will serve as executive producers on the series and will work together with Gaumont’s senior v-p creative development for animation & family Terry Kalagian, executive in charge of development Kimberly Dennison, and president of animation Nicolas Atlan. 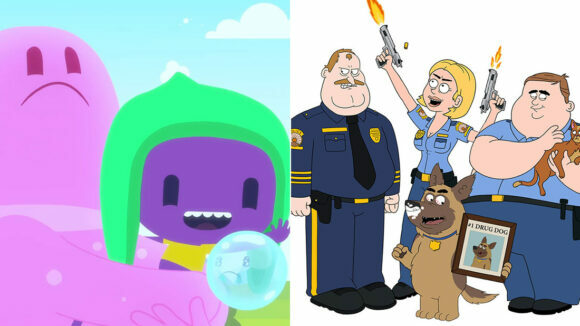 Following the recent announcement of upcoming series Tuca & Bertie, Netflix has greenlit Paradise, P.D., another addition to its steadily growing assortment of adult comedy series. 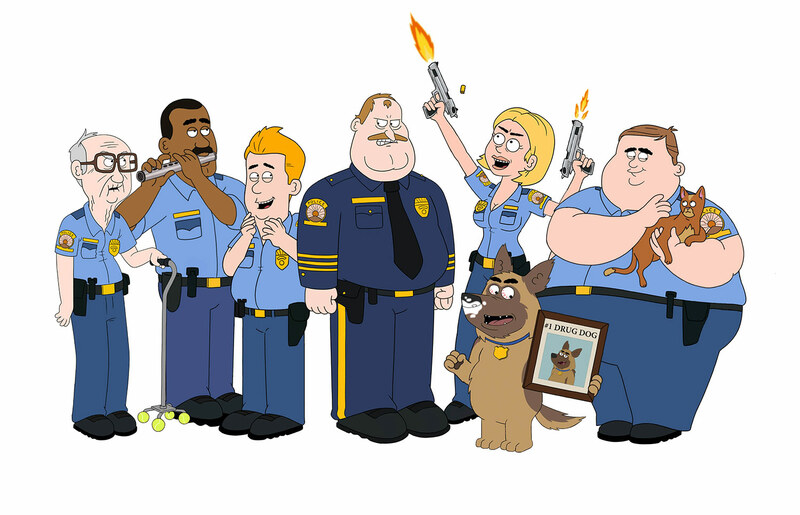 Waco O’Guin and Roger Black, the creators of Comedy Central’s Brickleberry, have once again teamed up to helm this comedy about the truly terrible cops of a small town’s police department. The series is set to premiere later this year, with an order for 10 x 30-minute episodes. Odenkirk Provissiero Entertainment will co-produce Paradise, P.D. with Bento Box Animation (Brickleberry, Bob’s Burgers). 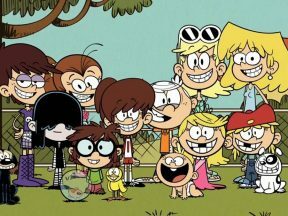 The voice cast includes Tom Kenny (Spongebob Squarepants) as Chief Randall Crawford and Dana Snyder (Aqua Teen Hunger Force, Squidbillies) as both Stanley Hopson and Dusty Marlow. Cedric Yarbrough, Dave Herman, Sarah Chalke, and Kyle Kinane also provide voices.